The first annual meeting of the newly formed Synod of Otago and Southland in April 1902, appointed the Rev. Alexander Manson Finlayson acting Clerk. At the same occasion they recognised the ‘long and faithful service of 37 years’ of the Rev. William Bannerman by appointing him as Senior Clerk. Bannerman ‘occupied the Clerk’s desk’ from the inception of the Synod, the supreme church court of southern Presbyterianism, from 1866. Finlayson’s initial role as Minute Secretary relieved Bannerman of that responsibility, which for the modern researcher is a blessing as Bannerman’s hand by this time is almost indecipherable. Finlayson arrived in New Zealand on 15 December 1875. He was born in Bower, Caithness on 2 June 1845 to Peter and Janet (nee Manson) Finlayson, the fourth of eleven children. Little is known of his early years. On completing his theological studies at the University of Edinburgh and Free College he gained a Masters Degree and was licensed by the Caithness Presbytery towards the end of 1874. In April 1875 he applied to the Colonial Committee of the Free Church of Scotland for a transfer to New Zealand, his preference being Dunedin. After fulfilling the requirements of the Committee, he set sail for New Zealand in August 1875 arriving close to Christmas at Port Chalmers. The Rev. William Johnstone, minister of Port Chalmers congregation, received this newcomer with some apparent enthusiasm, putting him to work within two days of his arrival. 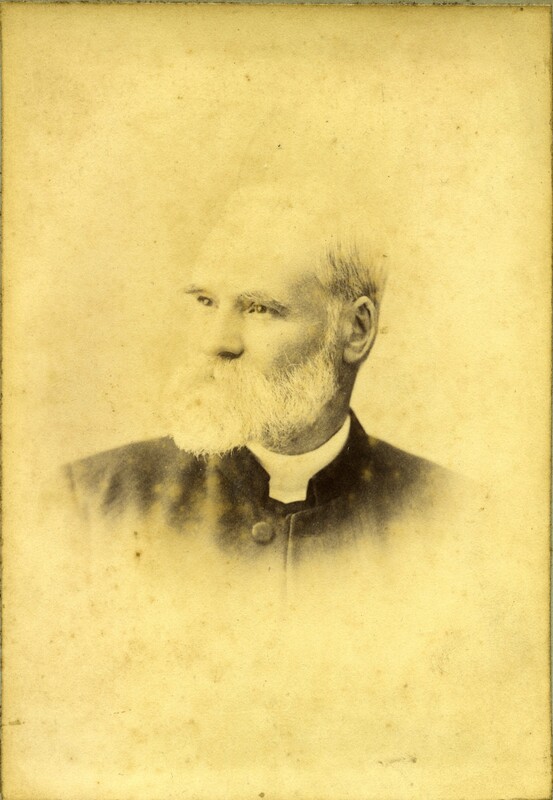 He supervised the Port Chalmers ‘grammar’ school exams and the following day preached at the evening Communion Service. Finlayson would soon relieve Johnstone of a section of his very extensive parish that extended from Port Chalmers to Oamaru, when he was inducted into Blueskin-Merton charge in March 1876. The Synod at the time of Finlayson’s arrival was full of theological ferment. At his first meeting he confronted the full force of fiery discussions on issues such as the introduction of instrumental music, i.e. the organ, marriage to the deceased wife’s sister, an Act before the New Zealand Government, and the perennial debate over Union between the Northern and Southern Presbyterian Churches. The debates drew out the two prominent factions. The Rev. William Bannerman, a strident Calvinist and a man of decided views and strong will, and the chief union protagonist, and the less traditional and theologically adventurous group led by the Rev. William Will and later the young Rev. James Gibb. Theologically, Finlayson firmly stood in his Free Church conservatism throughout his entire ministry. Although willing to accommodate some change, any hint at deviation from the doctrines as laid down in Westminster Confession and the Longer and Shorter Catechisms drew a sharp response from him. A major clash arose with Gibb in 1890 over comments on the Doctrine of Election he made in a Sermon preached at First Church. Gibb’s language in expressing his distaste around the Shorter Catechism’s statement on election was provocative. My ‘very soul revolts’ against the Shorter Catechism, he stated, when it suggests ‘God having out of his mere good pleasure from all eternity, elected some to everlasting life’. An impassioned debate followed over several Presbytery meetings with Gibb admitting some error in his interpretation of the clause ‘mere good pleasure’ but ‘considered the language he used perfectly justifiable’. The Presbytery concluded that the case be dismissed and regretted that Gibb had ‘inadvertently’ used language to describe the Shorter Catechism that ‘it does not warrant.’ The decision riled Finlayson who immediately sought leave to bring a complaint before the next Presbytery. Finlayson firmly believed it his duty to raise this dissent, and he did so, as a constitutional issue to the Synod. He appealed to his ordination vowels where he promised to ‘maintain the unity and peace of the church against error and schism, notwithstanding whatsoever trouble or persecution that may arise.’ The unity and peace of the church, he believed, was seriously under threat not through Gibb’s action and misrepresentation of the Confession but by Presbytery not doing justice by its ‘constitution and its relation to ministers and to the synod’. By exonerating Gibb, Finlayson believed Presbytery had set a precedent whereby further challenges to the constitution would be difficult to defend. Presbytery had allowed the Confession of Faith and the catechisms to be attacked rather than defending them at a constitutional level. Robert R.M. Sutherland, one of the appellants, elaborated this point further by stating the Presbytery had ‘not answered the complaint but offered excuses for the denial of the doctrine’. Gibb’s many supporters including not only the First Church Office-bearers but ‘a monstrous regiment’ of women were in attendance. They displayed their impatience throughout the debate causing the Moderator, on one occasion, to warn them that ‘shuffling their feet’ in an attempt to ‘curtail the proceedings’ was unhelpful to the proceedings. The decision was greeted with loud and prolonged applause. Apparently, the women present ‘vigorously’ displayed their delight with the outcome. One can only assume their delight lay in a favourite Minister no longer considered guilty of an heretical charge rather then their delight that the Presbytery was found to be wanting in their defence of the Confession of Faith. 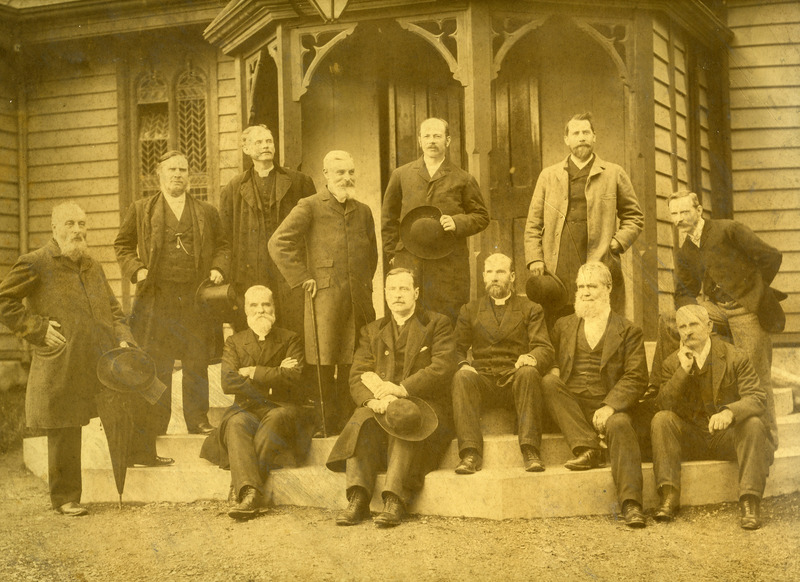 The 1890 Synod meeting was a watershed for the future of southern Presbyterianism. For the strongly Calvinist Finlayson the realisation that the theological paradigm was shifting within the Church was difficult to accept. Two changes deeply concerned him: the Declaratory Act in 1893, based on the Free Church of Scotland Act, stripped away the absolute authority of the subordinate standards and the commitment by the Synod to enter negotiations with the Northern Church to ‘mature a scheme for union’, Finlayson recognised as a fait accompli. By accepting a role on the Joint Union Committee in 1896 he worked to ensure that Synod retained as much of its original status as was possible under a Union Church. He argued long and hard, dissenting on a number of occasions until confident the ecclesiastical status of the Synod, the total control of the Synod’s trust funds and property, and oversight of the Theological Hall were secure. As Clerk of the reformed Synod, Finlayson kept the wheels rolling but its new status demanded new initiatives to move forward into the 20th century. The Synod required a redefinition of its purpose and mission for the southern Church. Finlayson with his dogged Calvinist world-view was not the man to lead the way. The passion within Synod slowly dissipated over his years of Clerkship. Its role within the south lessened in significance and become largely a finance committee responsible for dispersing its Trust Funds; ‘a spectral remnant dealing out doles in the form of Grants’. He remained in the position until 1929 when he retired at the grand old age of 83, well past his years of useful service. The last meeting he attended was in 1932. Finlayson had been an active participant through the enormous changes that occurred within southern Presbyterianism over his 58 years. At the time of his retirement only the Revs. Alexander Grieg and William Scrogie were still alive from those early years. Alexander Finlayson died January 1933 in his 88th year, William Scrogie died in March 1933 and Alexander Greig in 1938 in his 100th year. Otago Daily Times, Issue 12316, 2 April 1902, Page 2 and 4. Reprinted in the Bruce Herald, Volume IX, Issue 811, 13 June 1876, Page 3, from Papers Past. Otago Witness , Issue 1897, 12 June 1890, Page 23. Star , Issue 7000, 1 November 1890, Page 3. The meeting concluded at 1.15 am it was a marathon effort even for Presbyterians.